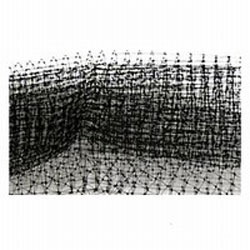 We stock bulk pond netting at Carters Nursery, Pond & Patio in Jackson, TN | It will keep debris out of your pond & help protect your fish from predators during the cold, bare months. 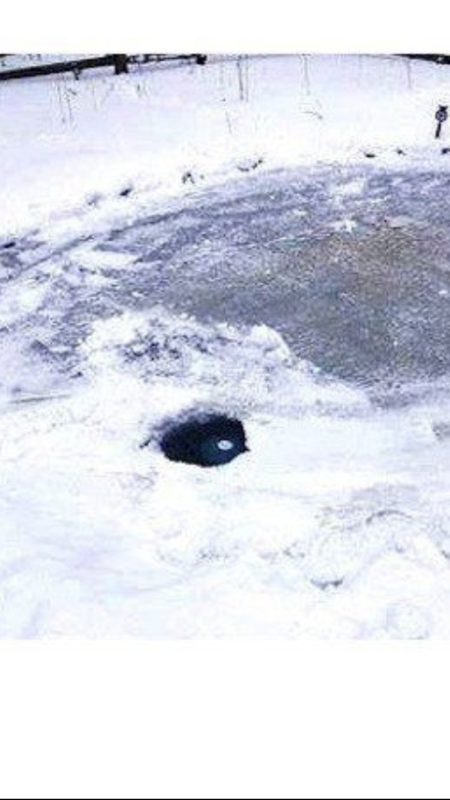 NEVER, NEVER, NEVER break the ice by banging on it!It can cause your fish great harm – it can even KILL them! 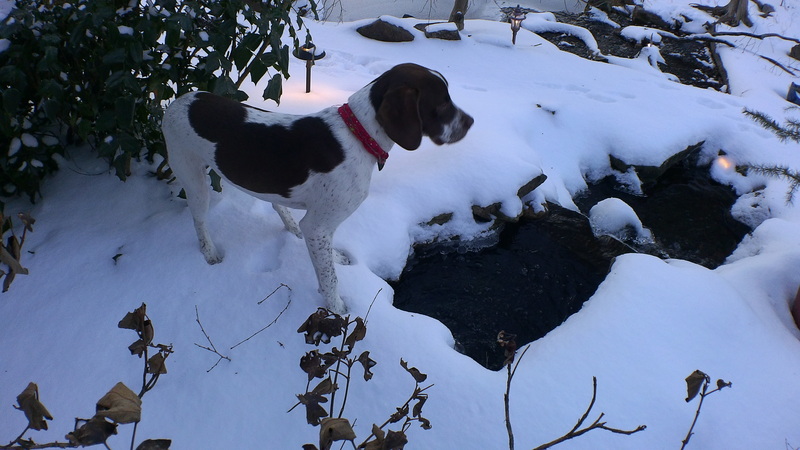 To allow the escape/exchange of gasses in a frozen over pond, keep a hole open in the ice. This is IMPORTANT!!! It will keep the gases from building up under the ice and allow for oxygen exchange and keep your fish from suffocating. This will also allow the pump to get water if the surface is frozen. If you have a skimmer, this will be MUCH easier on you! The water movement will help keep the ice from forming. You may need to keep the hole open by adding water from a water hose, bucket or pan of water. (This is why I always say “keep a dry hose” or a 5 gallon bucket for this purpose! If & when you use your water hose be sure to drain it when finished-to keep it from freezing and bursting, or just keep it in your garage). You can also use a floating heater or a small pump in a shallow area to “flash up’ and break the water surface. 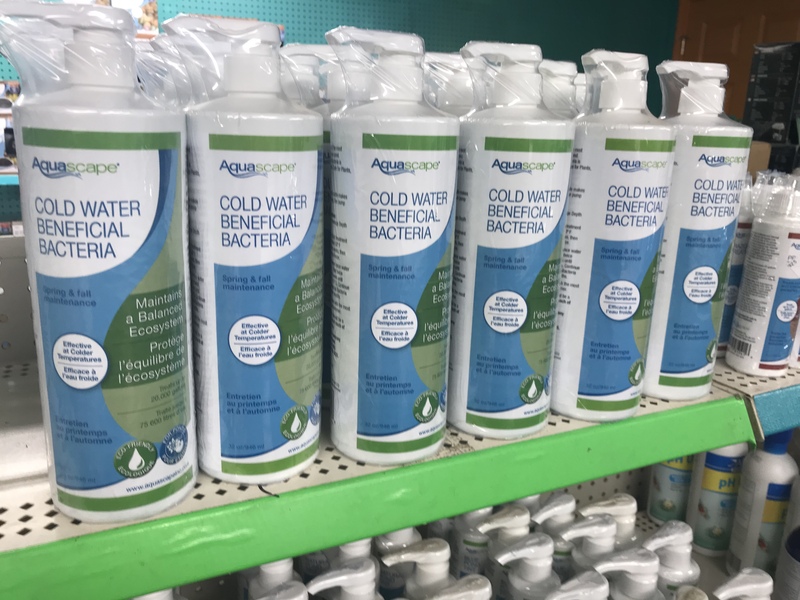 Keep using your Bacteria through the winter for a cleaner, healthier pond.